23-year-old Dan Kinem is co-master of the blog VHShitfest. Along with his partner Tim May, he recently directed the VHS documentary Adjust Your Tracking. I got a chance to catch up with Dan and discuss the film, the current VHS market and what the future holds for VHShitfest. PW: First off, I know you are an avid VHS collector. 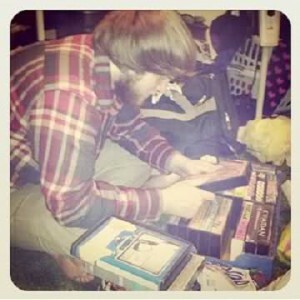 Where does your love and passion for VHS originate and how did you start collecting? DK: Well, I’ve always been a huge film fan. I was into the typical popular movies of all genres when I was growing up, but then I started getting into more obscure horror films and a ton of arthouse and foreign film. It really got to a point where I wanted to see as much as I possibly could and get new experiences from watching movies, which is when I realized just how many movies and weird things were only on VHS. I always had tapes, but I didn’t start collecting them until it became obvious to me that this was the only way I was going to see a lot of interesting, weird, and even sometimes great movies. PW: In 2010, you started VHShitfest with Tim May. How did you two meet? What made you decide to start a blog about VHS? DK: We actually met in grade school over our mutual love of The Simpsons (still my favorite thing in the world). We would always talk during school about movies and TV. We started hanging out more and slowly it turned into us making movies (or trying to make movies). We were both always writing about film online and discussing it, too. Tim actually was the one who had the first VCR we used to watch movies on. It was in his dorm room in college. Literally at the same time, I bought a movie called Birds II and wrote a review of it for a ‘zine we used to work on. It wasn’t technically the first VHShitfest review, but it definitely was going in that direction. The first review was actually for a movie Tim owned called Creepozoids, which is a classic. Almost immediately it took off and we kept going with it. PW: I am obligated to ask, where did you come up with the name VHShitfest? DK: I am going to be 100% honest and tell you I don’t quite remember, but I am more inclined to give the credit to Tim for that one. I’m sure he could remember the details. I think I had used the term “shitfest” when I was talking about Birds II and he had the hilarious idea to group the words together in a title that confuses many people, but is great (in my opinion). PW: When you first launched the site, it was one of the few out there like it. Covering VHS collecting and obscure films, generally, relegated to the format. Was there an overwhelming response? Did you find that there were more collectors out there than you had thought? How has the collecting market and community changed, since your site was launched back in 2010? DK: Yeah we were. I think we were the only website out there that solely talked about VHS. There were others (that we didn’t know at the time) that would mention VHS, but none that were 100% VHS devoted. The response was insane. Neither of us normally stick to doing much in life and we often get very lazy, but because we immediately started gaining readers and people started talking about loving the idea/site we kept it going. When I first started collecting and started the site I had no idea there were even other VHS collectors out there. It wasn’t until I searched Facebook that I found out there were lots more. The community since we started has grow to insane numbers. It is bigger than ever. We were one of the very, very early people to release a new VHS and since then there have been hundreds more. The market has also continued to grow in price, too. It is a lot harder to find tapes for even relatively cheap anymore. PW: You made the leap from blogger to filmmaker, with the documentary Adjust Your Tracking. 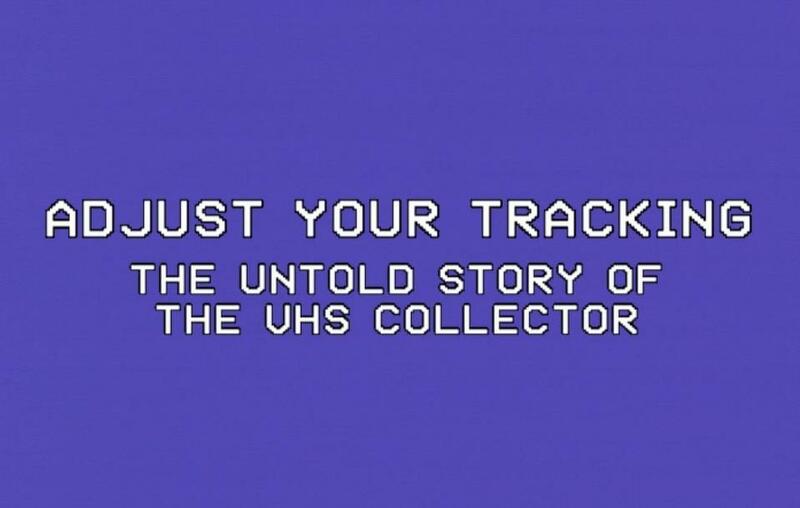 A film documenting the history of VHS and the current collector’s market. What made you decide to do a documentary on the subject matter? With the resurgence of VHS, did it just seem natural? Did the story feel, as though, it had to be told? DK: It definitely felt natural. I figured who better to tell the story and to document this than someone who is deep inside the culture. I had already met a lot of collectors and loved seeing their passion and hearing their stories so it just made sense to put a camera on them. I know it probably never would have been finished if I wasn’t 100% passionate about the topic and confident that this needed to be told and was important enough and fun enough to be documented. We started it at a great time, too, as VHS was really starting to take off again. PW: Once you set out on your journey, did the task seem easier said than done? How often were you on the road filming? DK: It definitely was a lot harder than we ever could have imagined. We did a couple mini-road trips to get a bunch of interviews, mostly in the east coast. We were all still in school at the time so we really had to balance our time well. We knew we needed a lot more interviews done so I planned a huge month long journey around the country and in that journey we collected like 75 more interviews. It was one of the most stressful, but fun times in my life. It is something I will never forget and couldn’t be happier to have done it but would not recommend anyone else try to do that much work in that short of a time. PW: How long did the film take to complete, from start to finish? Did it take longer than anticipated? Were there a lot of bumps in the path? DK: I believe it took a full year from start to finish. We worked our asses off to get it done, all while balancing school and our lives. There were so many bumps in the road. Like all low budget movies we had no money so we slept in the car a lot of nights, stayed up crazy hours, lost footage, almost died multiple times, had no free time, overshot and had the most insane amount of editing in the world to do, etc. We actually finished it in really good time. I mean, if you count screenings, tweaking, and working on the release it took over 2 years I believe. PW: The documentary looks like it was shot on home video. Which gives a warm fuzzy feel to the image. What format did you use? Was it out necessity or was their a stylized purpose behind the decision? DK: Well from the start we knew we wanted to transport people back into that mindframe. We wanted to remind them why VHS is so unique and interesting. 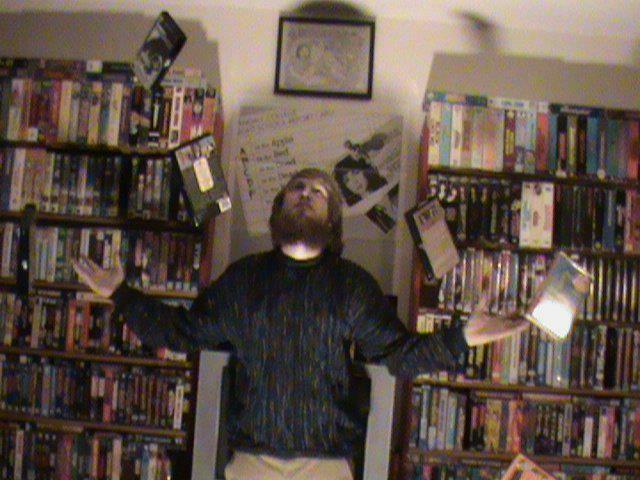 I am not the technical wizard, but I know we shot some of the film on VHS, some on HD, and some on another camera, and then we ran them all through a VHS and matched up all the footage. It was the exact look and feel we were going for and we didn’t use any after effects or anything, it was all done by hand. PW: Upon completion, you screened your film, literally, all over the country. Did you ever imagine it would be seen in such a light? What has been the response to the film? What was it like, running the screening/convention circuit? Any favorite screenings, in particular? DW: I knew we wanted to screen it all over, but I never knew how many screenings we’d get or how I’d even go about doing the whole tour with the film. I ended up setting it up in a similar way I did the tour to shoot the movie. I reached out to people, theaters, and festivals and told them straight up, “This movie has an audience, we have no money, but we have passion and if you are willing to pay us it will be a great and fun night and we all can make some money.” And honestly it worked. We ended up making a really good amount of money on the trip and got tons of exposure and got to screen at some amazing theaters and meet so many great people. We wanted to do the tour so that we could interact with the people watching the movie and really make it a fun event, set up a video store at each screening, etc. Probably my two favorite screenings were the one in New York City. I got to be there with all my friends and my girlfriend, well technically my ex-girlfriend now. It was completely sold out, oversold actually, at a great theater, the people were going crazy, NY Times were there, the reaction and experience was just amazing. It was just a really great experience and made me look really good in front of all my friends/girlfriend and was just the start of our screenings and the start of knowing we might have something a good amount of people can have fun with. My second favorite would probably be in Austin at the Alamo Drafthouse. I got to hang out with tons of great people, screen at a theater I always wanted to go to (let alone screen at), and the response was great. 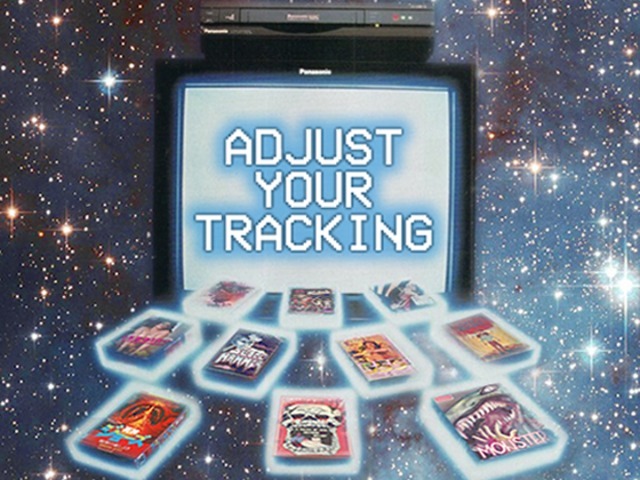 PW: Adjust Your Tracking also features an all-star panel. Tony Timpone, Lloyd Kaufman, Fred Vogel, Gary Cohen, Donald Farmer and the list goes on. How did you obtain these interviews? Is there anyone you wish you could have gotten for the documentary but were unable to at the time? DK: Some of the people we knew already, some of the people our producers knew, and some we just reached out to. We wanted to have a balance to the film and have some people who were involved in the industry and who dealt with VHS their whole lives intermixed with the current collectors. There wasn’t anyone we really needed to get that we couldn’t. We honestly could still be shooting this movie now there are so many collectors and people out there to talk to, but I’m happy with who we got and when we stopped shooting. PW: Before the film was released, while it was still in the screening stages, you released the Adjust Your Tracking cut-box. Can you detail this tape for us? Was this bonus featured on the home video version of the film? DK: This was just a little novelty to gain some buzz for the movie. It featured deleted scenes from the film that no one had seen yet. It also featured some wrap-a-around footage that you will never see again. 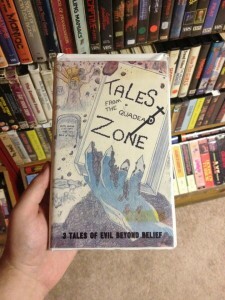 Most collectors hate cut boxes so we figured it would be hilarious to release a cut box for a VHS collectors film, too. PW: Finally, after all your hard work, the film has hit home video. Released in a beautiful, two disc, DVD set and also an old-school big box VHS collector’s edition. Both versions have a shitfest-ton of extras. The Big Box release contains a tape, and two dvds. I think a VHS release was inevitable. Was the big box a pretty easy choice? Any plans for a clamshell or slipcase release? DK: Thank you! Yeah, we knew all along that we wanted to release it in a big box on VHS. It only makes sense to do it that way. And we also knew we wanted to pack it full of extras. I knew it’d look great in a big box and that was just a gift to all the fans and collectors out there who remember big boxes and love seeing the artwork on these huge oversized boxes. As far as future release plans, never say never. We don’t have any plans currently (there was a limited edition clamshell sent to certain kickstarter backers), but I could definitely see a clam or slip release that just features the extended version of the film or something. PW: The film also has a gorgeous poster/cover-art. Tell us a bit about the artist and how you chose the films that would be featured in the art. DK: Thanks. The artist is Devon Whitehead. He is great so go check him out. We had been friends with him and interviewed him for the movie, actually. We wanted over-the-top amazing artwork so we knew he’d be great at it. We gave him a rough idea of something we wanted and he came up with the rest. He picked some movies that a lot of people will recognize from the days of mom ‘n’ pop video stores and captured what we wanted and more perfectly. PW: Now that you have your foot in the door of documentary film making, will VHShitfest ever make the leap into narrative feature films? Will you ever produce another documentary? And if so, what would be the subject matter? DK: Yeah, for sure. I am dealing with a lot of personal stuff right now, but I’m only 23 years old. There’s no doubt in my mind that we will make more movies in the future. We already have some ideas for narrative features. 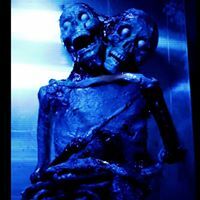 I’d love to do a horror movie that has that perfect blend of actual horror and comedy and takes itself seriously. I feel that late 80s/90s was when we started to lose that feeling and the movies started to try a little too hard to be funny. We also have ideas for other documentaries, particularly sticking with the theme of underdocumented things in film and pop culture. PW: VHShitfest has also handled the distribution of a handful of films. First, you released the 1992 Gary J. Levinsion epic Hellroller. A horror film about a maniacal, wheelchair bound, killer. What brought this film to the attention of VHShitfest and how did you get the rights? DK: Well, I actually found a VHS copy of this movie locally. It absolutely blew my mind. It was so absurd, bad, yet addicting that I had to know all I could about it. Well, of course no information was available anywhere. I dug for months and months and finally found out that the director had died, but tracked down the co-director/producer, developed a friendship with him, he gave us the okay to release the film, and helped us get a bunch of special features for the releases and it’s still one of my favorites. 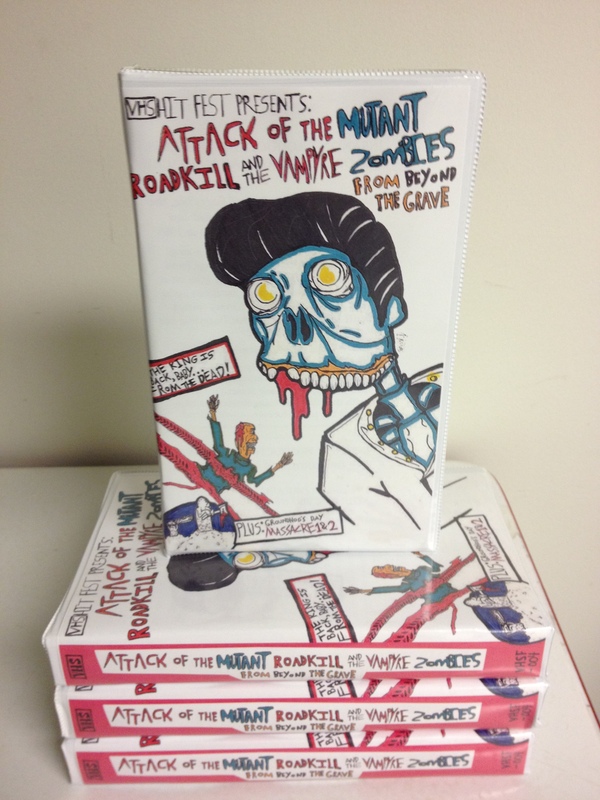 PW: Also, you released Attack of the Mutant Roadkill, Groundhog’s Day Massacre and other films by Insanity Productions. How did this become the next release in the VHShitfest catalog? DK: Somewhere in there we also did a release of Goremet Zombie Chef from Hell, too, I believe, but this was another movie I found that blew me away. It reminded me instantly of me and my friends making movies and somewhat of when I was a teenage movie-maker. I dug yet again and reached out to the director’s sister, she got me in touch with the director, and we developed a friendship and worked out a deal for us to release some of his films. 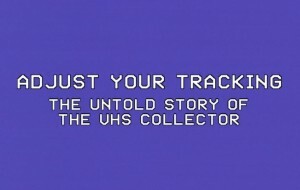 PW: Now, your documentary has been released and nearly every VHS collector in the country has seen it. How does it feel that you have left you mark on the history of analog video? DK: Thank you. That really means a lot. I am very excited that it is doing so well and that a lot of people are really enjoying the movie and some are even starting to get into collecting, too. I am excited to continue to get the movie shown and we are working on some more ways that can happen so stay tuned. PW: What is your favorite style of packaging? Big Box, Book Box, Slip Case, Clamshell? DK: Book box is my least favorite by far. They get crushed and just aren’t that appealing to me. I go back and forth between slipcase and big box, but I guess I’ll go with big box as my favorite. Slipcase had the better movies for sure, but big box let the artwork really shine and they look amazing on the shelf. PW: Any, personal, favorite VHS tapes in your collection? DK: It’s truly impossible to pick. I love Hellroller, 555, Tales from the Quadead Zone, my Gee Video stuff, my V2V stuff, Goremet Zombie Chef from Hell, Elvira Naked, and tons more. 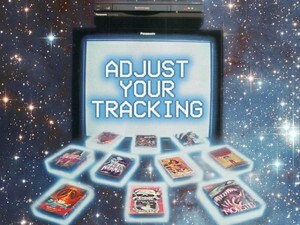 Oh, and now my Adjust Your Tracking big box. PW: What are your favorite SOV films? DK: Woodchipper Massacre is the best for me. Then I love Cannibal Campout, 555, Dreamstalker, Hellroller, Fatal Exposure, and a bunch more. I’m sure there’s some amazing documentary or something that is technically SOV that I’m forgetting to list, but oh well. PW: Do you think the new-found VHS market is here to stay or is it a passing fade? DK: I think it’s here to stay. It honestly continues to get bigger and bigger. So many people are getting into VHS it’s crazy. These past 4 years I have seen it grow more than I ever thought it would or could. It’s great! PW: Are there any films that you, VHShitfest, wish you could place in your catalog of releases? DK: We are currently working on a new release of a SOV movie that never was released on VHS but should have been. That’s going to be great. And we just did a release with Wild Eye of the documentary Invasion of the Scream Queens that everyone should check out! PW: Rumor has it, you paid over 1,000 dollars for a VHS copy of Chester Turner’s Tales From the Quadead Zone. Is this fact? Can you tell us a little bit about the tape in question and what made you purchase it? DK: That is true. The tape is very special to me for many reasons. For one, it came from the best video store in the world, Scarecrow Video. They are struggling to stay open so I knew that any amount of money I spent on this tape could really help them. Also, it played a major part in Adjust Your Tracking so I figured it was important for me to own it. It was also the first place I heard of the film. And it is the only copy with that artwork known to exist. It is completely original artwork no one has ever seen before. The fact it is 1 of 1, as far as anyone knows, made me really want it. The amount I spent was a lot of money, that’s for sure, but I’ve always supported my hobby with my hobby and that was no exception. I just found and sold a ton of WCW and Disney tapes and made all the money back. PW: What does the future hold for VHShitfest? Can we expect anymore releases in the future? DK: Definitely. As I mentioned above you can expect a ton of releases in the future, as well as new videos, new reviews, maybe a book, and a new movie, too. 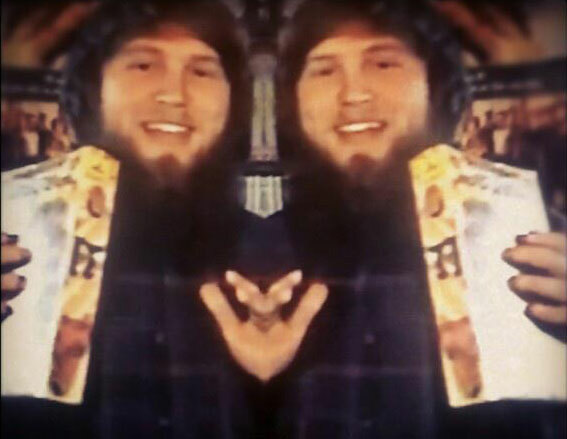 2015 will be a big year for VHShitfest! PW: Would you like to share anything with the Adjust Your Tracking and VHShitfest fans? DK: I just want to thank everyone for the support. It has been an amazing 4 years and I can’t wait to keep going. 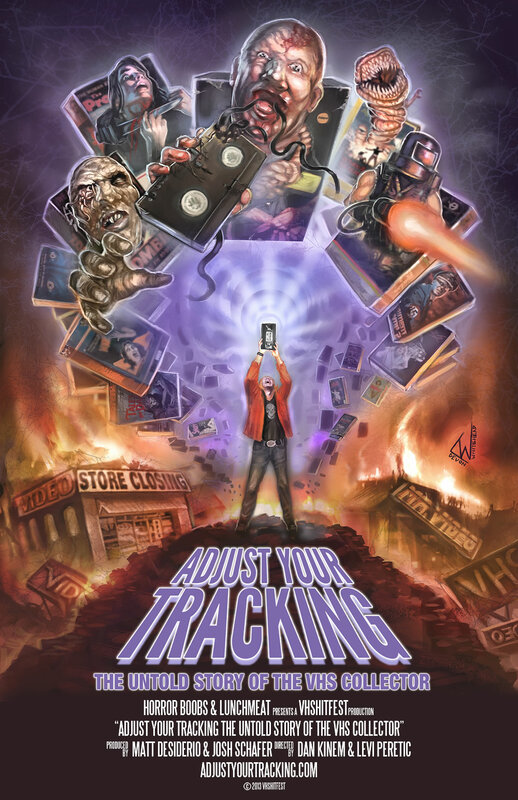 If you haven’t gotten a copy of Adjust Your Tracking please do so. And if you have, please tell your friends about it! Thanks!